A clip of award-winning poet and comedian Rob Auton performing on Comedy Central has recently gone viral with nearly four million views on Facebook. Alongside side stand-up and spoken word pursuits - which include having his poetry turned in to short films for Channel 4's Random Acts and being Glastonbury's 'poet in residence' - he recently dipped his toe in to music through supporting psychedelic punk rock band The Lovely Eggs. Below he talks about being back on the road with the second best reviewed show from the 2018"s Edinburgh Festival Fringe. Q/ The Guardian described you as 'The Brian Cox of comedy' - for those who don't know you, how would you describe what you do? Rob Auton: I think that comparison was drawn because during an interview I saw a duck on the canal through the Guardian's office window and said "that's a nice Mallard." I guess it's do with the fact that I try to look at subjects and explore them for myself and get excited by thinking about things in the world and Brian Cox does that too. Every year since 2012, I have written an hour-long show on a specific theme and taken it up to the Edinburgh Fringe. I try not to worry about what genre it is; I just want to make a show that I value. The first year was a show about the colour yellow called 'The Yellow Show.' I made 3D style glasses with yellow acetate for the audience to wear so they saw the show through yellow tinted glasses. The show included bits about big car sponges and bananas, yoke, and I played 'Yellow Submarine' on repeat at the start. I really enjoyed the experience and enough people did too for me to want to do a show the next year. So in 2013, I did a show about the sky called 'The Sky Show', 2014 was 'The Face Show', 2015 was 'The Water Show', 2016 was 'The Sleep Show', 2017 was 'The Hair Show', where I grew my hair and didn't shave for 18 months, and 2018 was 'The Talk Show'. This year the word in the middle of the spider diagram is 'Time' and is called 'The Time Show'. Q/ You went from working in an advertising agency to an art shop, how did you make the transition to performing? Rob Auton: I was working in advertising as someone who comes up with ideas for adverts but the vast majority of my ideas were not suitable so I started to really retreat into my notebooks. I would unleash my frustration with the advertising industry on the pages and really basked in the freedom of the fact I could write or draw absolutely anything I wanted. Some of the things I wrote down were short stories or alternative scripts for adverts, just ideas I wanted to keep really. The creative director of the agency I worked at was a real artist at heart, always drawing and painting and writing but somehow he had managed to adapt his output so it was suitable for advertising. One day he said: "I'm having a fireworks party at my house, there will be some of us reading a bit of poetry, do you want to come?" I didn't know if my stuff was poetry or not and I still don't but I asked if I could read some of the ideas from my notebooks out. That was my first gig in 2007. After that, he asked me to join his poetry night called Bang Said The Gun. I started doing poetry nights, then someone asked me to do an alternative comedy night, and I started doing more and more. Anywhere that would have me really. I left advertising in 2009 and got a job in an art shop to pay my bills and then left that in 2012 and have been doing this full time since then. You mentioned each of your shows has a specific theme. How do you land on topics to address in each show? Basically I want to write about something that isn't going to change anytime soon. Yellow, the sky, the fact that people have faces and water exists. I want the shows to stand the test of time so I can go back and perform bits from them in the future. Donald Trump is temporary. With 'The Talk Show' I wanted to focus on my need to talk and how I struggle in isolation and I think I will be able to say that until I die, or maybe I will not want to talk when I'm older. Perhaps in 2051- 'The Silence Show. Rob Auton: Brian Cox mainly. No not really. I think he is inspired to talk about what is in our world though and I am a signed up member of that squad for sure. If you are talking about individuals then I would say Ivor Cutler, Bob Dylan, Tom Waits, Francis Bacon, Werner Herzog and John Lennon amongst others. I take direct inspiration from people in bad moods on trains and impatient people in post office queues. Q/ The Talk Show was the second best reviewed show at the Edinburgh Festival Fringe in August, what can audiences expect from it? Rob Auton: Audiences can expect a lanky man from Yorkshire trying to come to terms with the fact that when he talks words come out of his mouth and the fact that other people do that too. I think it's the show I have enjoyed performing the most, so fingers crossed I can work hard and do a good job on this tour. Q/ You play comedy clubs, poetry shows, you draw and you act. Which is your favourite art form? Do you use different mediums to address different ideas? Rob Auton: At the moment my favourite art form is writing the ideas down and saying them aloud to audiences. I love painting and drawing but currently the visual side is not the one that"s conveying how I feel effectively. I attempted to act in a play for the first time in August and that was one of the most challenging things I've done. I think the different ideas come from the same place and it's just a case of catching them and getting them on paper or into my notes on my phone. Writing is the most effective way of recording them for me at this point in time. Q/ You've recently changed what has become an iconic hairy look. How do you feel about having shaved your beard off? Rob Auton: 'Iconic' is not what my parents called it I can tell you that. Shaving that beard off and getting a haircut got me back in the mix of civilisation. I'm pleased I committed to 'The Hair Show' by growing as much hair from my skin as I could but it was quite distressing how people's attitude changed toward me. When I shaved, I washed the bottom half of my face properly for the first time in about 16 months and I'll remember that moment for a long time. Also feeling the sun on my chin will stick with me for a while. Q/ You have been on tour with The Lovely Eggs, a psychedelic punk rock band. What is it like to open up for a punk band? Are music crowds receptive to a spoken word support act? Rob Auton: I have loved their music for a while so when I got the email asking me to support them I was really chuffed. Their fanbase is made up of quite a far out, genuine, homemade bunch so the vast majority of the gigs were massively enjoyable. The main difference was the fact that the crowds were standing up and were really close to the stage. I felt quite penned in a lot of the time, me looking at three hundred people's faces who were looking at me. It was intimate and intimidating and felt like combat, but I hope I learnt a lot. Most of the crowds gave me a chance to say my piece apart from in Glasgow where they did not. Q/ You won Dave Funniest Joke Of The Fringe, can you tell us what the joke was? How was it received? Rob Auton: "I heard a rumour Cadbury's are releasing an oriental chocolate bar, could be a Chinese Wispa." It got a mixed reception. 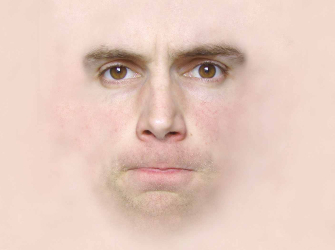 Rob Auton performs 'The Talk Show' at the Old Market, Brighton, on 20th March 2019. CLICK HERE for tickets.